More than 80% of the charity's outgings were spent directly on the cats. Stephanie is an animal lover who has had cats and dogs all her life, including Billy, a kitten adopted from us who lived to be 15. Stephanie visited us in April 2002 to collect two young rescued kittens and expressed her delight in being able to support such a good cause. 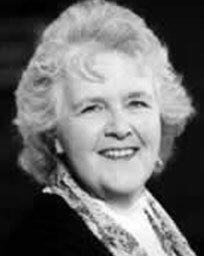 Stephanie Cole trained at the Bristol Old Vic School and made her debut at the age of 17, playing a 90 year old! She has an impressive list of theatre and television credits and is very well known to radio listeners. She is probably best known for her roles in the TV series Tenko and Waiting for God, for which she won the British Comedy Award for Best Actress. In 1998, Stephanie published her autobiography entitled A Passionate Life. She is well known as one of British theatre’s grande dramatic dames. 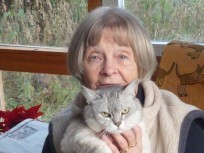 What is less well known is that she is also a great cat lover, hence her willingness to support CAT 1977. 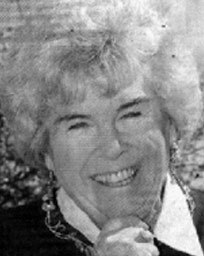 Dame Eileen studied at the Guildhall School of Music and Drama, after which she made her first appearance as Jaquenetta in Love’s Labour’s Lost, then went on to repertory theatre and two years with the RSC. 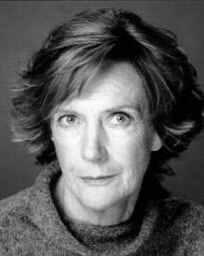 She has appeared opposite Sir Laurence Olivier and Sir Alec Guinness, and in 1965 won the Evening Standard Best Actress Award for her breakthrough role as Childie in The Killing of Sister George, which she took to Broadway.